The Farrier’s Cage Long light is a wrought iron straight cage enclosing an antique style bulb within. It conjures up both a vintage style offset by a modern sensibility. Each light is supplied with 1.5 metres of quality fabric covered cable in gunmetal colour, a bulb holder and shade ring. All are handmade and hand finished with natural beeswax. 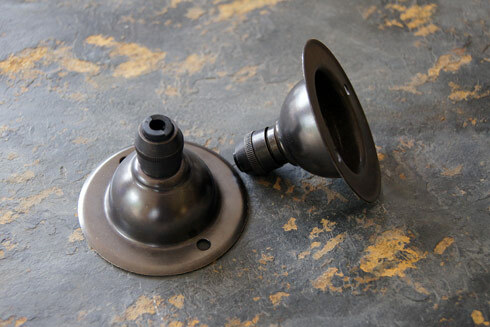 They look terrific with the matching ceiling rose and antique style bulbs, which are available to buy separately below. 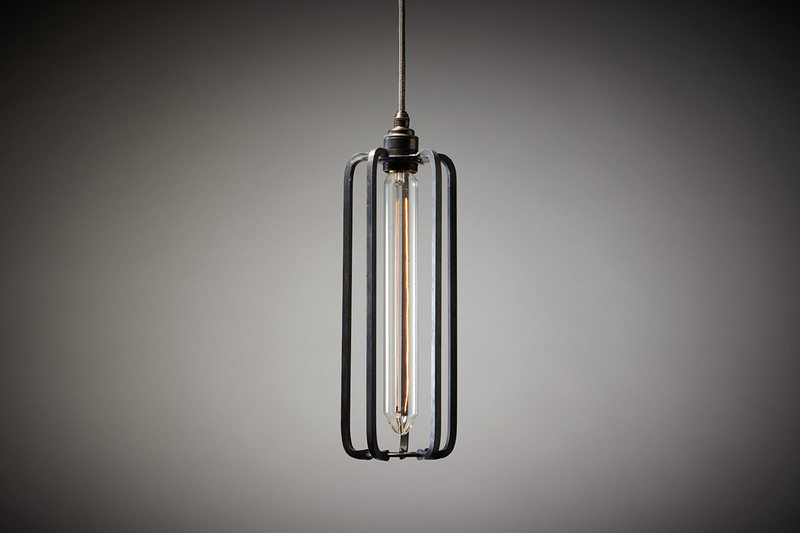 "The Next Big Thing Artisan Lighting ... Designers are finding ways to create modern designs using traditional practices..Iron lights from Made by the Forge are crafted by hand in the family's traditional blacksmith's forge in Suffolk."